Carl Lawson has been in athletics virtually his whole life. He was born into a family of world class athletes. Carl’s father was an international Olympic Weightlifting and Bodybuilding star, participating in the Olympic Games as well placing 3rd in the Mr. Universe Bodybuilding Contest. Carl’s mother was an Olympic sprinter in Jamaica as well as Carl’s uncle and namesake running the 100m at the 1972 Olympics. Carl originally started his passion for sports as a Track & Field star as a young boy going on to set a national Jamaican sprint record in the 60 m as a youth. As a teenager, Carl’s attention was captured by football in which he received several honors, including being named as an All-Conference and All American junior college football player. Carl choose between football scholarships offered from Penn State, Syracuse, Nebraska, and Maryland but ultimately chose to attend Georgia Tech. While at Georgia Tech, Carl was a member of Georgia Tech’s National Champion Football team. It was also at Georgia Tech that Carl’s interest and expertise in Sports Performance enhancement was ignited, under the guidance of Legendary Strength Coach Dave Passenela (World Powerlifting Champion & World’s Strongest Man). Carl became educated and immersed in Performance enhancement training. Carl set school records at Georgia Tech for running backs with a 675 lb. squat a 470 lb. bench press and a 386 lb. power clean to go along with a 39 in vertical jump a 10 ft. 8 in broad jump and a 4.53 sec laser timed 40 yd. dash. Carl was named to the NSCA/NCAA All American Strength team in 1989, 1990 and 1991. In 1991 Carl was named NSCA athlete of the year in the NCAA. After football Carl continued his immersion in Strength and Conditioning as an assistant to Jim Lathrop the Director for Sports performance at GT and NSCA Coach of the year 4 times, learning and working with athletes in other sports like Track & Field, Baseball and Basketball. 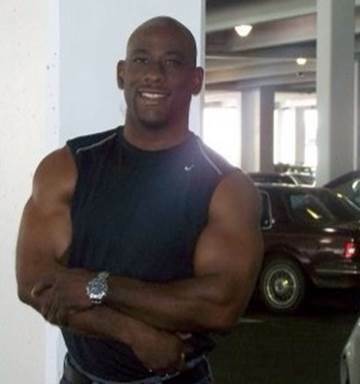 After Georgia Tech Carl continued his involvement in Health and Fitness and Sports Performance by becoming the Manager of Lee Haney’s 2 Atlanta fitness facilities. Working for the Legendary Lee Haney (8 x Mr. Olympia) Carl continued personal training and working with professional athletes. Along with working with professional athletes Carl also ventured into the world of Bodybuilding and Women’s Fitness Competitions. Training several Champions to victory in both sports. After training athletes in different sports Carl decided to take his knowledge of training and apply those principles and techniques into training his Son. Applying these principles and techniques into his son’s training has produced astounding results. Some of those results include Carl Jr being a 2 x time State Weightlifting Champion with a 450 lb. Bench Press a 575 lb. Squat and 340 power clean a 1.50 ten yd. dash a 4.62 40 yd. dash and 38 in vertical jump at 17 yrs. old and 260 lbs. This prowess in his training has resulted in Carl jr being named an All American by Parade , USA Today , US Army , Under Armor , Rivals , Athlons , Lindy’s and ESPN. He also set a state 6a record for QB sacks in a season with 26.